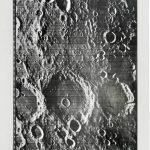 Daniel Blau is pleased to present vintage NASA photographs from the unmanned Lunar Orbiter V mission in 1967.The unmanned Moon Orbiter missions I-V succeeded in mapping and photographically capturing the entirety of the Moon’s surface, creating an enormous photographic portrait of our closest neighbour in space. 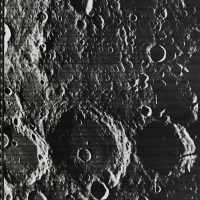 The Orbiter’s integrated laboratory sub-system produced unprecedented high resolution images that remain the first and only of their kind. 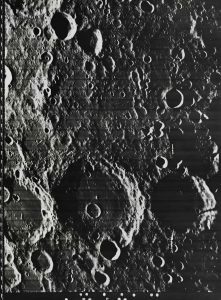 During the mission Orbiter V produced 633 high resolution and 211 medium resolution frames. 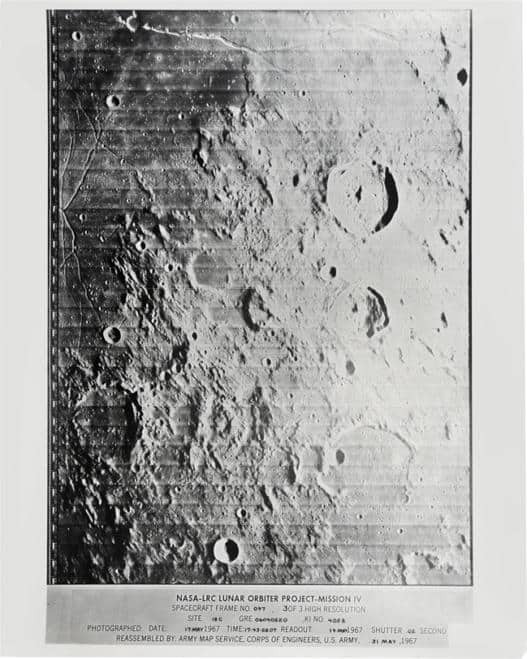 The heated and remote-controlled photo booth was customised specifically to portray the Moon. 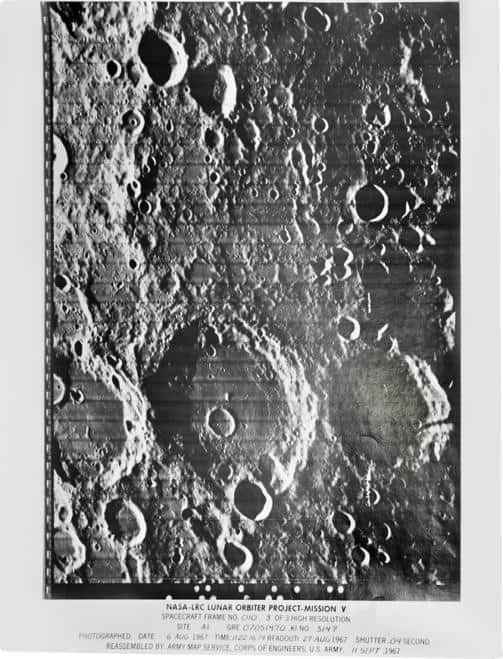 Though initially designed to select possible landing sites for the later manned Apollo missions, the photographs produced by the Moon Orbiter are unique in their artistic qualities and scientific values. 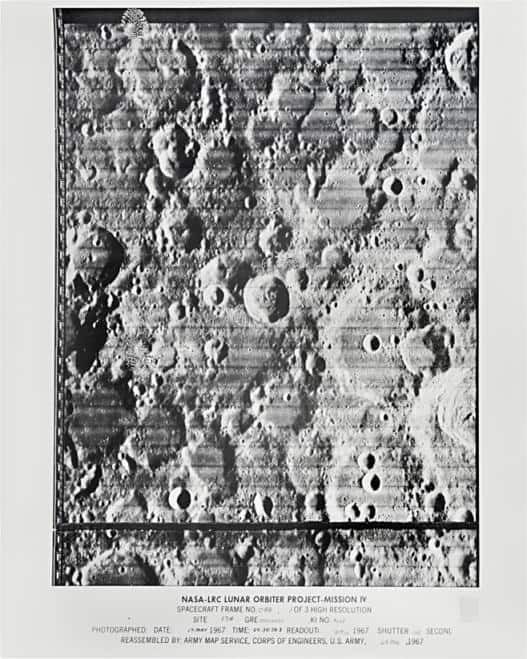 The prints comprise collated filmstrips – highlighting the groundbreaking printing, collaging and stitching techniques explored throughout the 1960s. 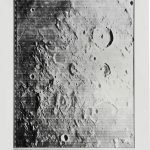 These photographs were developed and scanned on board the Orbiter before radio signals relayed the data back to the ground control stations on Earth – thus enabling the resulting prints. 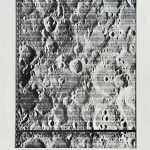 These stunning black-and-white prints offer uniquely atmospheric views of the Moon’s topography as well as this extraordinary human feat of engineering.